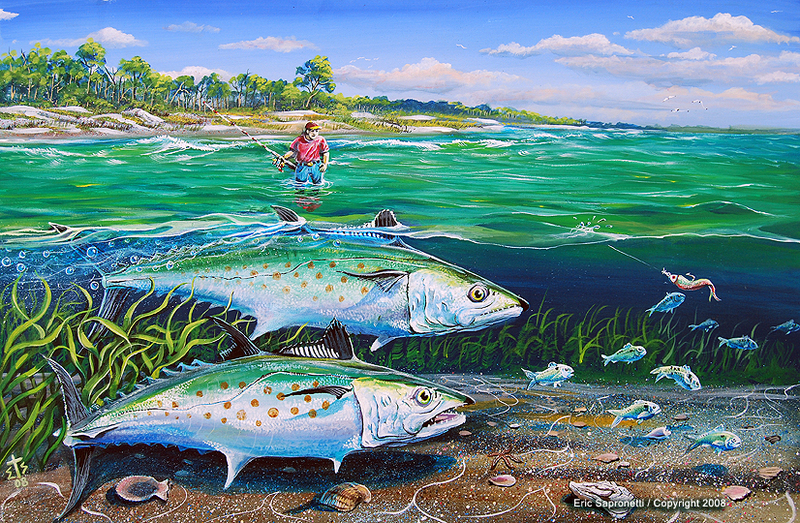 The best time to catch a Spanish Mackerel is when they are gorging themselves on Menhaden. They get into such a frenzy that the water seems to boil around them. Just toss your lure in the direction of the disturbed water, and then hold on for the fight to come!